Australia is renowned for its famous landmarks and must-see tourist hotspots, however it’s the country’s lesser-known treasures that will spice up your itinerary. From hidden waterfalls to coastal beauties, a detour on your journey is well worth it! We’ve put together a list of our top 6 spots to add to your bucket list this year! 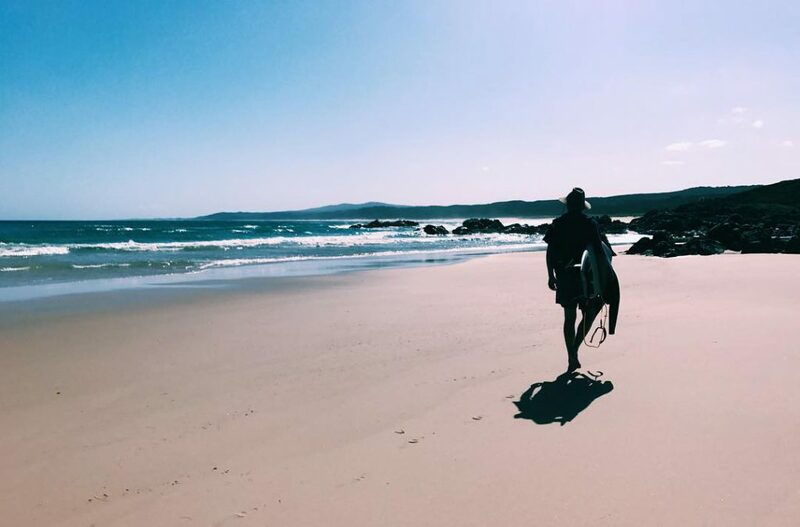 Point Hicks, a remote coastal headland in the East Gippsland region of Victoria, has a secret it wants to share with you. The location of its lighthouse, the tallest in mainland Australia, remained a mystery for many years – truly putting the “hidden” in hidden treasures. Built in the late 1800s, Port Hicks Lighthouse languished deep within the Croajingolong National Park until being rediscovered by students in the 1970s. To get there, you’ll first need to drive to the national park; from Melbourne, it’s around 6.5hours away. If you’re starting from the Thurra River campsite, you’ll then commence the 10km walking track to the lighthouse. The track covers relatively flat ground and is suitable for most fitness levels. The lighthouse is open to the public at 1pm from Friday to Monday each week. Even better, it’s FREE! The panoramic views of the surrounding area will leave you speechless, so don’t forget your camera! We suggest packing your swimmers as you’ll have the opportunity to visit stunning Honeymoon Bay during your walk; a perfect spot for swimming! Honeymoon Bay is also a hidden treasure in its own right, so it’s well worth the diversion. Offering immaculate coastline and spectacular fringing reef, Orpheus Island is renowned for its natural beauty and untouched atmosphere. Set among Australia’s World Heritage Great Barrier Reef, the island is home to vibrant marine life and an abundance of fish species. This tropical escape is a hub for snorkelling and diving, mostly because of it’s crystal clear water. So, what makes Orpheus Island one of our hidden treasures, we hear you ask? 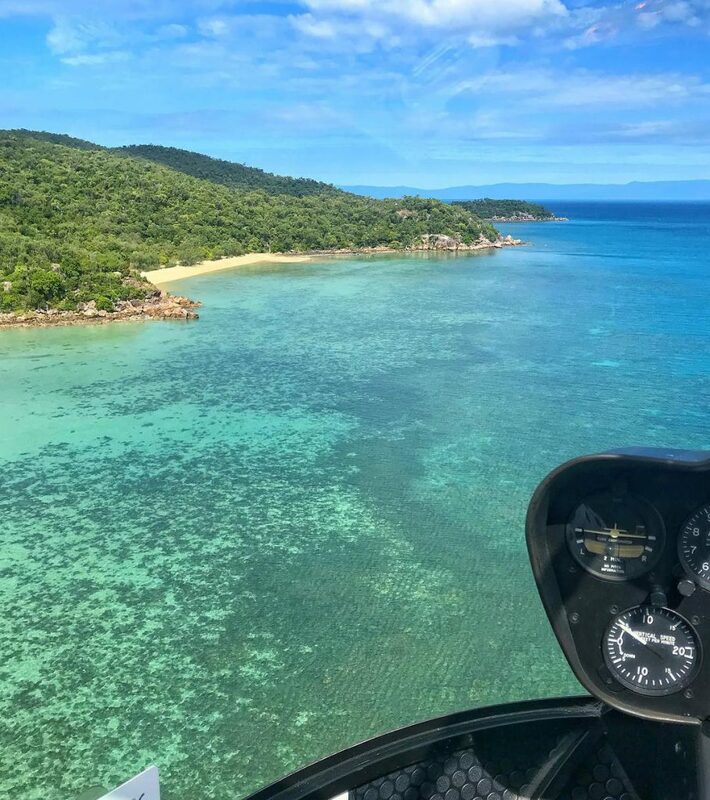 Well, this secluded island is only accessible via helicopter or private charter – we suggest planning a trip in advance! 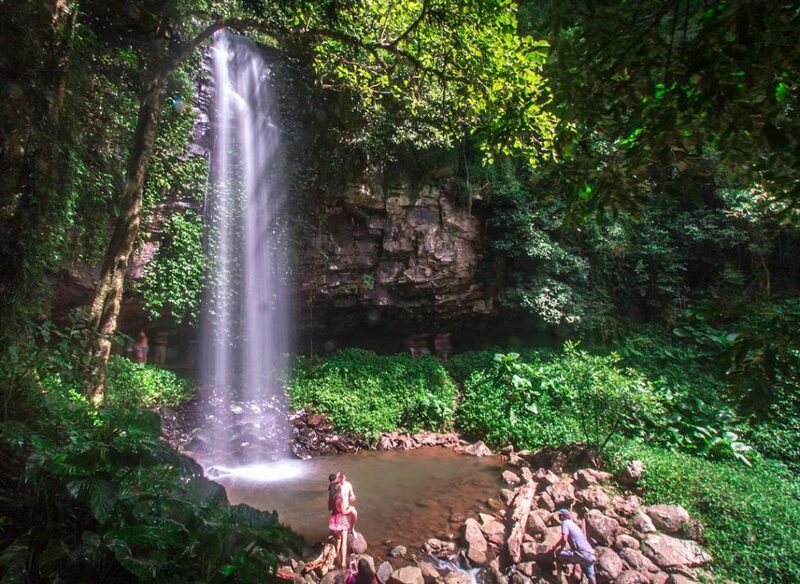 Set among lush forest in Dorrigo National Park, Crystal Shower Falls is a sight for sore eyes. The pleasant walk to this majestic beauty is nothing short of fascinating. Surrounded by towering green trees and unique rain forest birds, it’s an experience like no other. While there are many stunning waterfalls in Australia, Crystal Shower Falls earns its place as one of our hidden treasures because you can go behind it! At the bottom you’ll find a suspension bridge, taking you behind the waterfall and into a rocky cavern. For the best experience, remember to wear comfy shoes and bring the camera. The town of Mount Gambier lies half-way between Melbourne and Adelaide, and is home to one of our most enchanting hidden treasures. 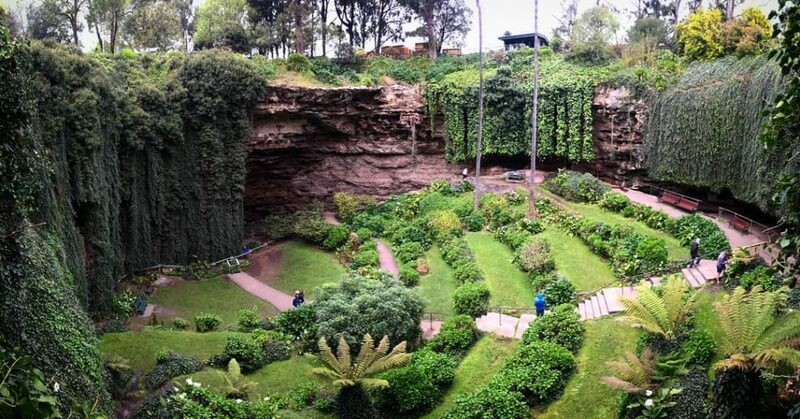 Once a typical Limestone cave, Umpherston Sinkhole has over time transformed into one of Australia’s most spectacular gardens. Formed by seawater waves corroding the limestone rocks, the sinkhole fast became a tourist favourite. In 1886, James Umpherton turned this natural creation into a stunning attraction, offering visitors the perfect setting to relax. The garden is open from dawn to dusk and is a feeding hub for possums during the night – how Aussie! When we think of treasures, we think of sparkling hues and stunning jewels. Lake Bumbunga definitely delivers on this vision! Located less than two hours from Adelaide, this is possibly Australia’s prettiest lake. 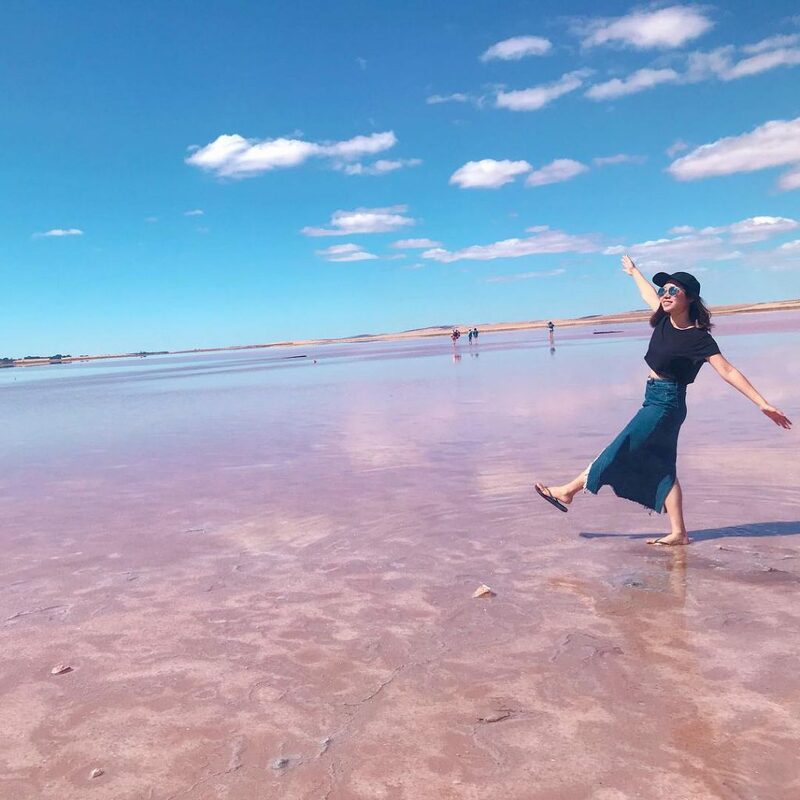 Known to change colours from white to pink (and even blue), it’s no suprise Lake Bumbunga attracts global visitors. Captured by famous photographers and the backdrop for high-end fashion shoots, it’s the perfect spot for an epic instagram selfie. The last of our hidden treasures is far from the beaten track. 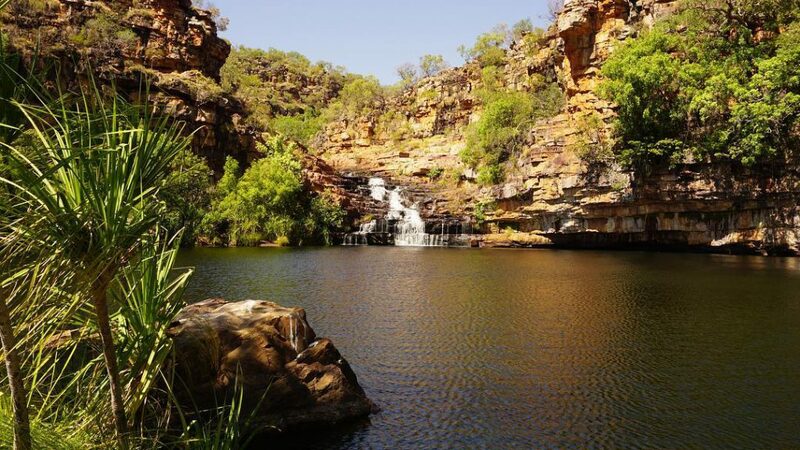 The secluded oasis of Melaleuca Falls is located in the southern Kimberley region of Western Australia. Accessible only via helicopter, it’s an isolated and tranquil place to visit. Home to numerous walking tracks and awesome views, it’s definitely worth a visit! Are you looking for somewhere to stay during your next surfing holiday? Check out our website or download our free mobile app to find, compare and book caravan parks and campgrounds.